Oppo F3 CPH1611 is a Qualcomm MSM8976 Pro Snapdragon 653 Octa-core (4x1.95 GHz Cortex-A72 & 4x1.44 GHz Cortex-A53) processor before updating or flashing of this phone VIA OTA or PC both of download links we share on this post you will find both types of download links at the end of this article if you phone is hanging on startup or showing errors doing anything that first of all tack full back up your personal data on your PC then update your phone VIA OTA or with flash tool after before flash or update hard reset your and charge must be up to 50% then try to update or flash. Flashing of Oppo F3 CPH1611 phone is so much easy no need to go any shop for flashing of your phone you can flash this phone at home if you have PC then you just need Qualcomm USB Drivers drivers and QFIL which is a free app for Qualcomm based phones flashing if you have a shop then you know better how to flash this phone with any chines flashing tool if your new then we will tell you how to Oppo A71 CPH1801 with Qualcomm Flash tool on 3rd pear. When you flash or hard reset your smartphone or another android device it removes all the case of our phone and makes it fresh. Besides, while browsing the internet, or share data via wifi or Bluetooth our phone can be get affected by malware. When you flash your device, during the flashing all the old data will be removed and the malware from your device also removed. There are some apps you have sometimes installed from unauthorized sites or clicking on adds while doing something online on free apps then it will be difficult to uninstall from your device. These apps also decrease the space of your phone memory. In this case, you need to flash your device. Many software on a mobile phone has the expiration date. Every year the company brings the update of the mobile software. So, it is essential to update the software to keep the phone alive and up to date most of the mobile phone brands give updates on their smart devices to look like a new one. Thus flashing makes your phone life extended. It also increases the battery timing. if your phone did not work properly and showing errors during doing something like gaming or chatting its showing errors like that (android system has stopped, Google has stopped working or any game which you love to play the playing that game your phones says XYZ has stopped) in that type of cases, first of all, try to make a soft reset your phone form setting after soft reset your phone will start working. Qualcomm USB drivers must be installed on your PC. Flash Tool must install on your PC. HOW TO Oppo F3 CPH1611 WITH QFIL TOOL. First of all download QFIL tool form given the link below. Download Oppo F3 Plus CPH1611 official firmware and unzip on you,r PC. Open QFIL tool clicks on the programming path and select that file from folder (prog_emmc_firehose_8976.mbn) file. Then select Build folder Oppo F3 Plus CPH1611 CPH1801 folder. Then click on download Button and hold on both Volume keys and connect USB cable then flashing will begin. Oppo F3 CPH1611 Qualcomm Firmware for bypassing FRP or lose of passcode or pattern code without the help of any flashing device on the zip folder you will find the flash tool just write that firmware and any your phone will be OK.
if you having trouble to flash then watch this video how to flash Qualcomm phones. 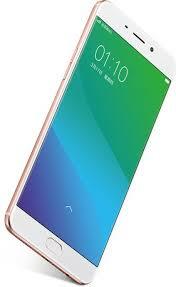 That firmware update is only for only for Oppo F3 CPH1611 don't try to install that firmware on other models of Oppo Android devices that can destroy your phone.